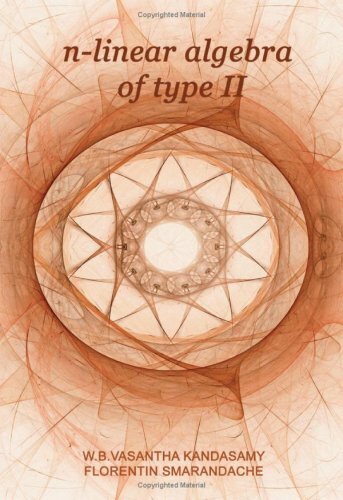 This book is a continuation of the book n-linear algebra of type I and its applications. n-Linear Algebra of type II is constructed over n-fields, n-eigen values and n-eigen vectors and it will find applications in finite element analysis of civil and mechanical structures with uncertain parameters. The book focuses on the use of iterative methods for solving large sparse systems of linear equations. General and reusable templates are introduced to meet the needs of both the traditional user and the high-performance specialist. Contents: Vectors and Vector Spaces; Matrices and Linear Algebra; Eigenvalues and Eigenvectors; Unitary Matrices; Hermitian Theory; Normal Matrices; Factorization Theorems; Jordan Normal Form; Hermitian and Symmetric Matrices; Nonnegative Matrices. In this book, the authors introduce the notion of Super linear algebra and super vector spaces using the definition of super matrices defined by Horst (1963). This book expects the readers to be well-versed in linear algebra. The primary focus of this book is to provide a readable account in modern notation of Grassmann's major algebraic contributions to mathematics and science. It should be accessible to scientists and engineers, students and professionals alike.